1: Megan from Wonderful You. 2: Jade from Dotty Dolly. 3: Lizzie from Blue October. 4: Hello! 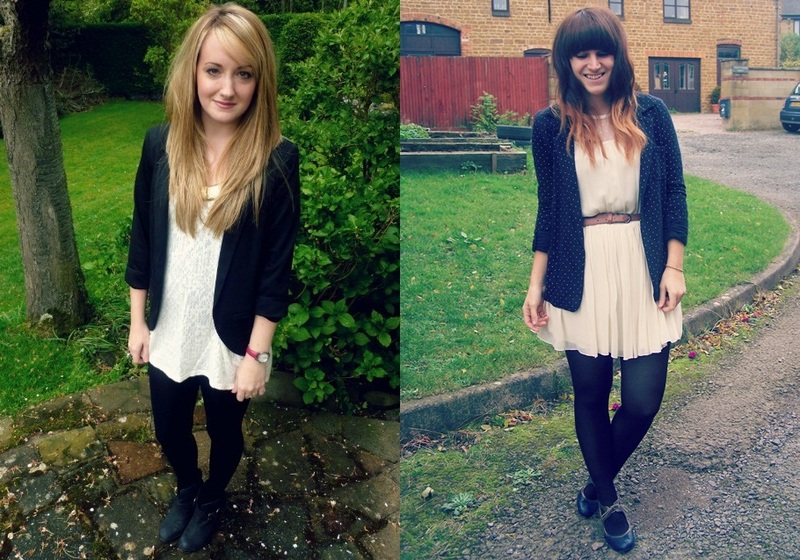 Megan says "I am thoroughly in love with my black Topshop blazer. Having no pockets, it's completely for show and not practicality; but I just love how it can smarten up any outfit. And it goes with anything, whether it's my skinny jeans and a plain tee or a skater dress. Plus the pink lining makes it feel pretty so it ticks every box for me!" Jade says "I absolutely love this velvet blazer I picked up at a vintage store! It's warm, versatile and the perfect staple item in my wardrobe. 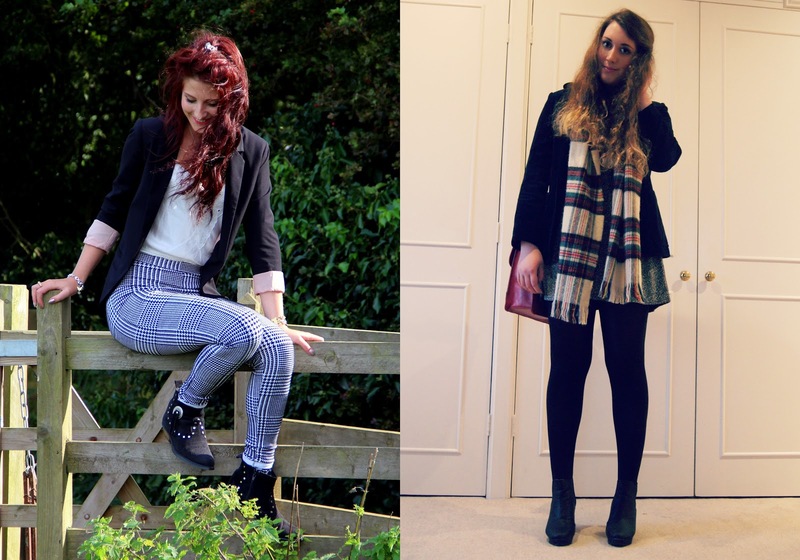 I've styled it with a boucle dress and tartan scarf, in an attempt to include 3 trends in 1! Brave of me right?" Lizzie says "I wear blazers most days for work - they dress up the most casual of items and ensure you look sharp and stylish. Perfect for those who like to look a little smarter for work, or dressing up a casual outfit!" I say "For those days when I'm running late (pretty much every morning!) adding a blazer is the easiest to put with a dress or a blouse. And it gives a smarter look. A blazer is my best friend on a night out as it completes my look. Oh and it also keeps me warm!" What are your thoughts on the blazer? Do you like to slip it on over a dress or put it with your jeans and a tee? Or do you think they're best kept for more formal things? There's plenty of printed blazers on the high street.. The choices are endless!